My favorite NYC restaurant makes empanadas to die for – filled with beef, raisins and olives and encased with a flaky, crumbly crust. Now and then I indulge, even though they’re packed with gluten, because they’re just so damned good! So when putting together my menu for FoodBuzz’s 24×24 dinner party, I decided it was time to make these puppies gluten-free. My proposal was a “Scarborough Fair Summer Supper Party”, where each dish would be created around an herb or bunch of herbs. 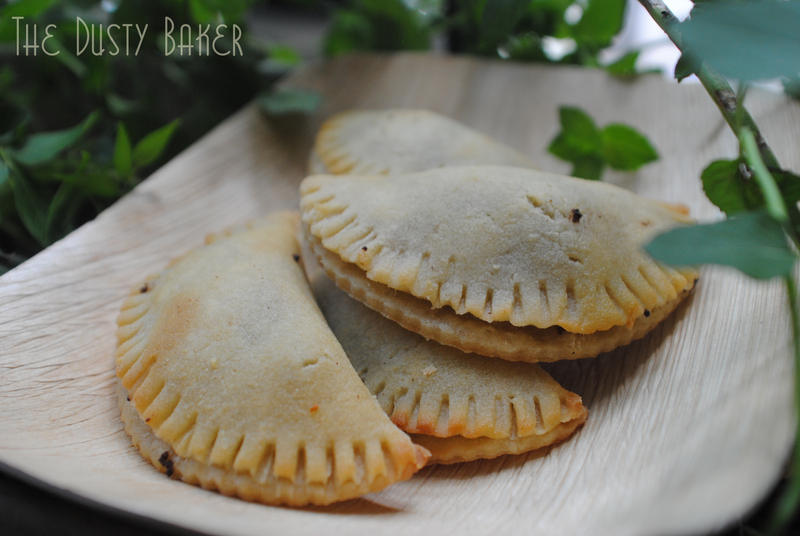 For the empanadas, chocolate mint was to be the herb. Yes, this is an herb that I have growing in my window box that tastes both like chocolate and spearmint. It’s divine in so many ways. So I decided to go with a classic filling of beef, onions, garlic, raisins and olives but, to highlight the mint, also added cocoa, cinnamon and honey. They had my guests drooling and my roommate so ready for more that after I post this I’m back into the kitchen to whip up another batch with the leftover meat. The filling is both sweet and spicy, the crust flaky yet solid. They’re completely gluten and dairy free, and full of flavor. 1 – 1 1/4 lb ground beef – the higher quality the better, obviously! Heat the oil on low in a heavy saute pan or stockpot. Add the onions and garlic and cook on low until soft. Add the red pepper, paprika, salt and cocoa and cook until incorporated. Add beef and saute for about five minutes until just brown. Add the water and cook until it boils down and the mixture is soft but not watery. Add the olives, raisins and chocolate mint and stir to incorporate. Remove to fridge and chill for up to 24 hours to let the flavors meld. In a food processor, whip all flours, xanthan gum and salt together to combine. Slowly add the water, bit by bit, until the dough comes together into a ball but is not wet. Line baking sheets with parchment paper and spray with cooking spray / wipe with oil. Turn the dough out onto a floured board (I use rice flour when rolling pastry). Work with one quarter of the dough at a time. Roll to 1/8 inch thickness, constantly turning, flipping and re-flouring the board as necessary. Cut into 4″ rounds. Place dough on sheets and put about a tablespoon of filling in the center of each. Wet the edges of dough and fold over and press to seal. Crimp edges with a fork. Repeat until you have about 30 beautiful little empanadas. 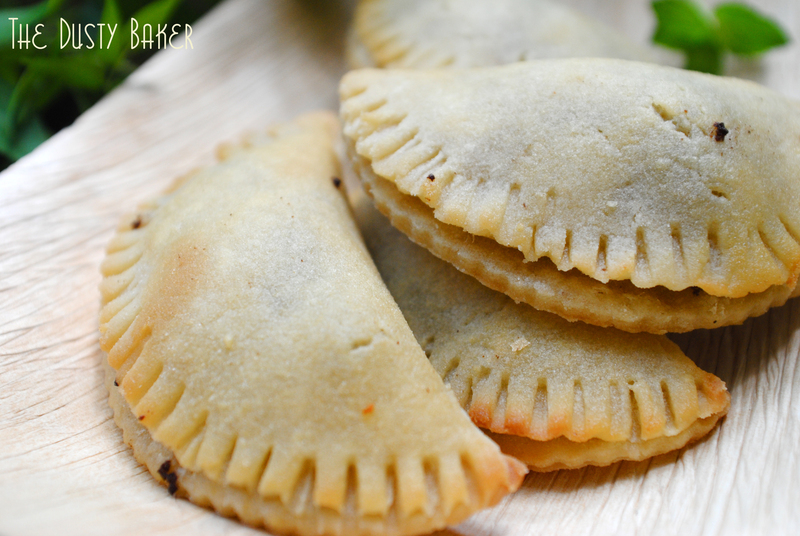 If desired, wash the top of the empanadas with an egg beaten with a little water to make them glossy and bright. Bake for about 8 minutes, turning the sheets halfway through. These look great. I can’t believe how many things you have to live without eating. Quite inspirational really. Wow! Just the title of the recipe alone had me stopped in my tracks. First, gluten free empanadas? Then chocolate beef mint? These are incredible!